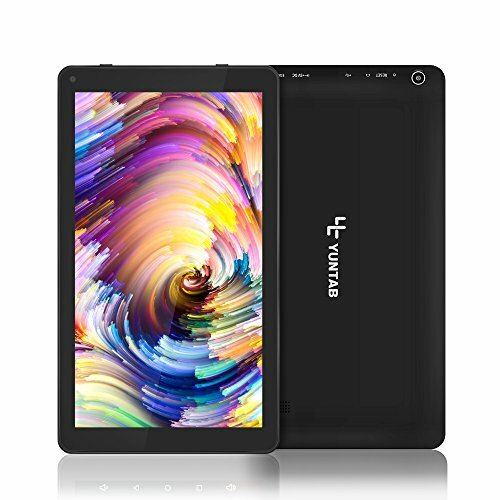 Powerful configuration and ultimate multimedia experience, Featuring a stable Allwinner A33 Quad Core CPU and Google Android 6.0 Lollipop OS, Yuntab D102 ensures an impressive smooth gaming and ultimate multimedia experience. The tablet comes with 8GB storage capacity, built-in micro sd card slots, can be expanded to 32GB. you can download all your favorite apps seamlessly. Whatever your use ,work or play , this tablet can match it. 1024 by 600 resolution, makes pictures very crystal clear and you experience rich graphics, bright colors, and crisp text. Dual camera front 0.3MP and Rear 2.0 MP, comes equipped Wifi,allows for ultra-fast web browsing and emails. Unique power-saving design enables extended battery life. Use up to 4 hours on a full battery charge. 10.1 inch multi-touch screen,ideal for watching HD movies, playing games, browsing the web, or reading. Widescreen displays exceptional detail and the bigger screen makes the games buttons easier to press and tapping a more accurate experience. If you have any questions about this product by Yuntab, contact us by completing and submitting the form below. If you are looking for a specif part number, please include it with your message.